We’re elated to be helping local 15 year-old, Faye Pontremoli, on her trip to West Virginia to take part in the 2019 World Scout Jamboree. 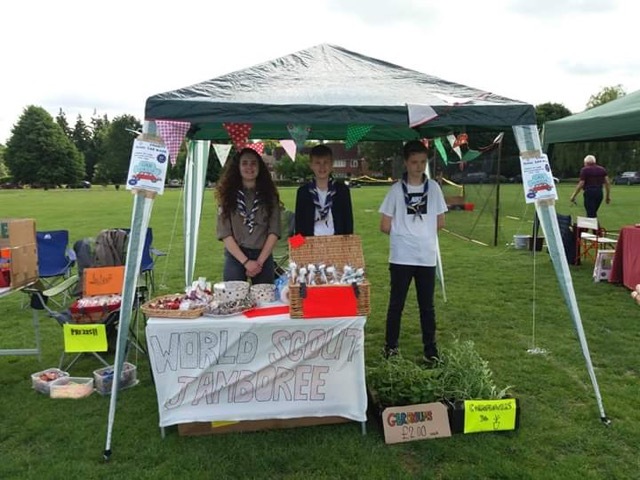 This will be the 24th edition of the event that attracts tens of thousands of scouts from all corners of the globe and Faye has been chosen along with 8 others from mid-Sussex to experience the event. Faye has been a scout for over 6 years. She’s learned some invaluable skills from her time in the scouts and has had to put lots of hard work into preparing for the event, including learning how to wash clothes without hot water, sing campfire songs and even cook for forty people! The trip doesn’t come free for Faye. Having to raise funds herself, she’s been washing cars, organising quiz nights and even carrying Christmas trees. We’ll be supporting Faye’s trip by donating prizes for the raffle and some help towards the cost. We wish Faye every bit of luck for the World Scout Jamboree 2019!